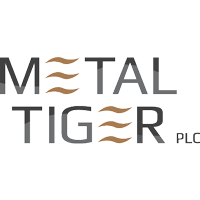 Stock in Metal Tiger PLC found using EPIC: LON:MTR has stepped up 4.45% or 0.08 points during today’s session so far. Traders have remained optimistic while the stock has been in play. Range high for the period has seen 1.96 meanwhile the session low reached 1.87. The amount of shares exchanged has so far reached 1,456,545 with the daily average at 5,447,864. A 52 week high for the stock is 3.44 equating to 1.59 points difference from the previous days close and putting the 52 week low at 0.02 which is a variance of 1.83 points. Metal Tiger PLC has a 20 day moving average of 2.24 and now its 50 day moving average at 2.38. 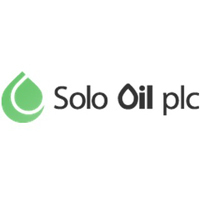 Market capitalisation is now £26.09m at the time of this report. The stock is traded in GBX. Mcap is measured in GBP. This article was written with the last trade for Metal Tiger PLC being recorded at Wednesday, October 31, 2018 at 12:00:55 PM GMT with the stock price trading at 1.93 GBX. Shares in Mediclinic International PLC with EPIC code: LON:MDC has climbed 2.68% or 9.7 points in today’s trading session so far. Market buyers are a positive bunch during the session. Range high for the period so far is 379.1 and a low of 362.7. The total volume of shares traded by this point was 353,543 with the average number of shares traded daily being 2,279,977. The 52 week high for the shares is 712.4 which comes in at 350.2 points difference from the previous close and the 52 week low at 338.7 a difference of some 23.5 points. Mediclinic International PLC has a 20 day moving average of 418.39 with a 50 day SMA of 452.69. The market capitalisation is now £2,693.47m at the time of this report. The currency for this stock is GBX. Market cap is measured in GBP. This article was written with the last trade for Mediclinic International PLC being recorded at Wednesday, October 31, 2018 at 12:02:07 PM GMT with the stock price trading at 371.9 GBX. 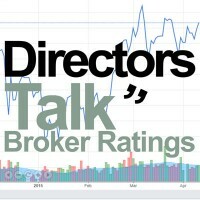 The stock price for Micro Focus International plc ticker code: LON:MCRO has moved up 2.1% or 25 points during the course of today’s session so far. Buyers have remained positive throughout the trading session. The high for the period has peaked at 1223 while the low for the session was 1208.88. The volume total for shares traded up to this point was 309,432 while the daily average number of shares exchanged is 2,331,458. The 52 week high for the shares is 2970.5 about 1780.5 points difference from the previous days close and the 52 week low at 782.2 is a variance of 407.8 points. Micro Focus International plc now has a 20 moving average of 1364.85 and now the 50 day moving average now of 1348.92. This puts the market capitalisation now at £5,104.87m at the time of this report. The currency for this stock is Great British pence.Market cap is measured in GBP. This article was written with the last trade for Micro Focus International plc being recorded at Wednesday, October 31, 2018 at 12:02:23 PM GMT with the stock price trading at 1215 GBX. The trading price for MONDI/PAR VTG FPD 0.2 with company EPIC: LON:MNDI has climbed 2.1% or 38 points in today’s trading session so far. Investors have so far held a positive outlook during the session. The high for the period has peaked at 1864.5 dipping to 1830. Volume total for shares traded at this point reached 990,614 whilst the daily average number of shares exchanged is just 2,605,131. A 52 week share price high is 2250 which comes in at 437.5 points difference from the previous days close and putting the 52 week low at 1684 which is a variance of 128.5 points. MONDI/PAR VTG FPD 0.2 has a 20 day moving average of 1882.48 and now its 50 day simple moving average now at 2037.09. The market capitalisation is now £8,789.42m at the time of this report. The currency for this stock is GBX. Market cap is measured in GBP. This article was written with the last trade for MONDI/PAR VTG FPD 0.2 being recorded at Wednesday, October 31, 2018 at 12:04:29 PM GMT with the stock price trading at 1850.5 GBX. The share price for NMC Health PLC with ticker code: LON:NMC has climbed 3.52% or 118 points during today’s session so far. Traders have so far held a positive outlook during this period. The periods high has reached 3494 and hitting a low of 3356. The volume total for shares traded up to this point was 169,497 with the daily average at 669,755. A 52 week share price high is 4376 about 1020 points difference from the previous days close and the 52 week low at 2661 making a difference of 695 points. NMC Health PLC now has a 20 SMA of 3265.8 with a 50 day moving average now at 3519.1. The market capitalisation currently stands at £7,067.92m at the time of this report. The stock is traded in GBX. Mcap is measured in GBP. This article was written with the last trade for NMC Health PLC being recorded at Wednesday, October 31, 2018 at 12:04:16 PM GMT with the stock price trading at 3474 GBX. The stock price for Northbridge Industrial Services Plc ticker code: LON:NBI has moved up 4.56% or 6.5 points during today’s session so far. Buyers have so far held a positive outlook during the trading session. The period high was 149 and a low of 145. Volume total for shares traded at this point reached 8,500 while the daily average number of shares exchanged is 12,361. The 52 week high for the share price is 149 amounting to 6.5 points in difference on the previous days close and a 52 week low being 92 which is a difference of 50.5 points. Northbridge Industrial Services Plc has a 20 SMA of 140.73 and the 50 day SMA of 138.06. The current market capitalisation is £41.57m at the time of this report. Share price is traded in GBX. Mcap is measured in GBP. This article was written with the last trade for Northbridge Industrial Services Plc being recorded at Wednesday, October 31, 2018 at 9:14:25 AM GMT with the stock price trading at 149 GBX. Click MCRO MDC MNDI MTR NBI NMC for the full archive.